3/8 inches Diameter press to fit. Standard 18 inches 22AWG Leads. Build-in Resistors or Diodes on quest. UL listed. Mini Stick-on contact with flange. Center leads with 22 AWG 18 inches length. Adhesive Tape and Screw mount. UL listed. Metal Magnetic Contacts. Adjustable Bracket included. Wire: 22AWG with 22 inches armored cable. Weather resistant aluminum housing. UL listed. Magnetic contact sensors are commonly used to detect whether a door or drawer is open, which is why they have mounting tabs and screws. 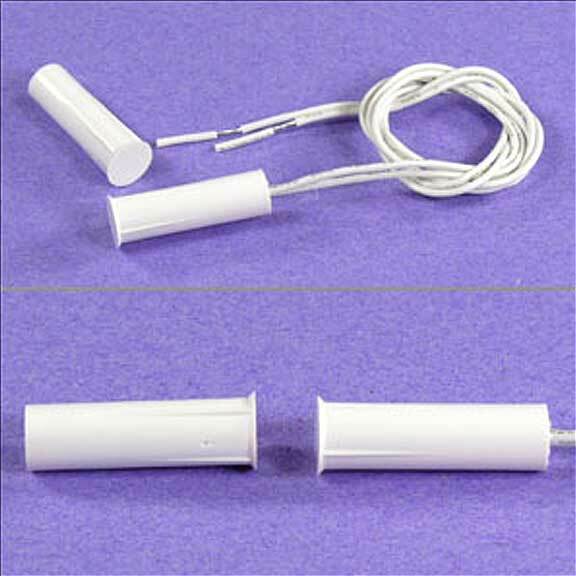 We have a range of Magnetic contact sensors which you can get delivered at your doorsteps. We have Standard Surface M. Contact Switches, Standard Recess M. Contact Switches, and other similar magnetic contact sensors to meet your requirements.